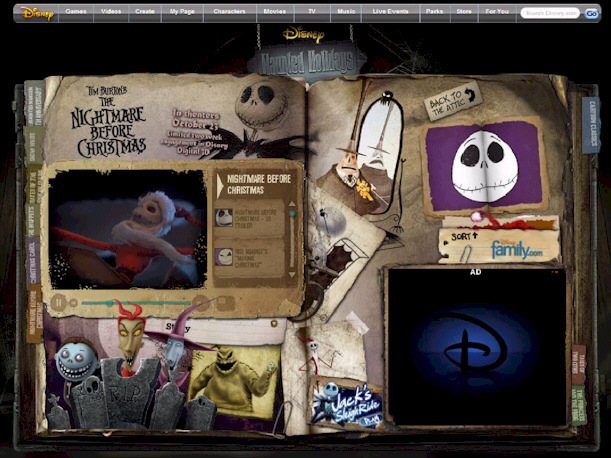 Disney.com just launched a new destination for visitors to enjoy new and exclusive videos, games and activities related to their “Haunted Holidays.” The site features pages of your favorite Disney attractions, from Pirates of the Caribbean Online to the Muppets, Snow White and the upcoming A Christmas Carol and many more. “Haunted Holidays” brings together scary attractions like the Haunted Mansion, notorious villains from classic films like “Snow White,” and then embraces the holiday “spirit” literally with special features on the upcoming “Christmas Carol” film from Walt Disney Studios. 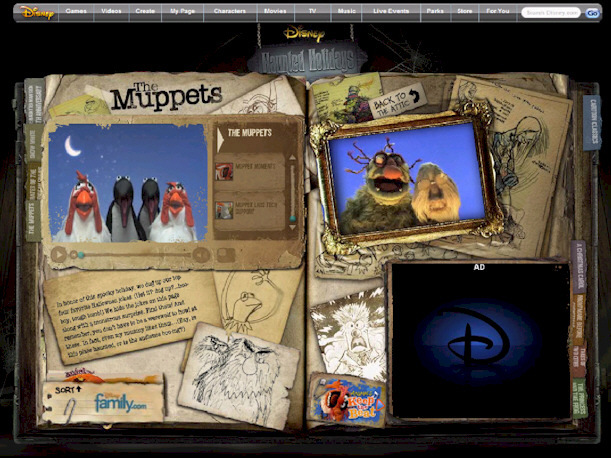 From Pirates to Muppets, from London to New Orleans, “Haunted Holidays” on Disney.com brings together an array of exclusive and never before seen features from some of Disney’s most popular films and characters. Often picked as a favorite attraction by Disney Parks guests around the world, the Haunted Mansion is celebrating its 40th anniversary this year, and on Disney.com you can watch exclusive behind-the-scenes videos that look at the history and Imagineering that went into creating the spookiest place at Disneyland. 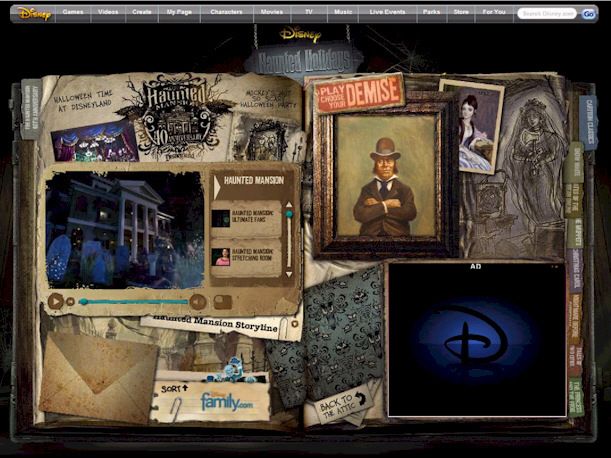 “Choose your Demise” game, in the “spirit” of the real Haunted Mansion elevator portraits the portraits featured in this game may not be as they appear. The Muppets have “dug up” their favorite spooky jokes in honor of Halloween – check out all-new videos and shorts, you don’t have to be a werewolf to howl at these jokes, even our mummy likes them. Visit Haunted Holidays for more fun and be sure to check back often as this special destination on will be continuously updated with new features often from now until the New Year.